Computer simulations based on the theory of relativity predict far more black holes than are observed. Indeed, it is doubtful whether black holes even exist, and the latest observation disproved the prediction. "Quasars are disappearing" contrary to the theory of relativity, and astronomers simply "stopped looking" after finding more than ten examples of rapidly changing quasars that confound the theory with respect to black holes. The orbital eccentricity of the Moon's orbit is increasing, contrary to what Relativity predicts. The Sun is a perfect sphere - "the solar flattening is ... too small to agree with that predicted from its surface rotation." Quantum entanglement near the event horizon of a black hole—with one particle of the pair on one side, and other particle of the pair on the other side—defies the Theory of Relativity. Relativity is a mathematical theory that cannot permit any exceptions, just as arithmetic falls part if 2 times 2 is ever not equal to 4. See also black hole firewall. The speed of light in a vacuum is slower than expected—less than c—based on new data from a 25-year-old supernova. "Celestial signals defy Albert Einstein. Strange signals picked up from black holes and distant supernovae suggest there's more to space-time than Einstein believed." A physics article published in 2014 states that "general relativity, which describes gravity at low energies precisely, break[s] down at high energies." Subatomic particles with mass have a speed observed to be as fast as the speed of light ("we are 100% sure that the speed of light is the speed of neutrinos"), which contradicts Relativity because the Lorentz factor is then infinite. Neutrinos were observed to travel at the speed of light by an independent experiment also: "Their neutrinos traveled at precisely the speed of light, not faster or slower." Anomalies in the locations of spacecraft that have flown by Earth ("flybys"). During the gravity assists from Earth, both the Galileo spacecraft and the Near Earth Asteroid Rendezvous (NEAR) spacecraft experienced a change in velocity different than that predicted by General Relativity. Spiral galaxies confound Relativity, and unseen, nonexistent "dark matter" has been invented to try to retrofit observations to the theory. "Dark matter mysteriously missing around sun. Theories say neighborhood should be filled with it, but new study shows otherwise." The acceleration in the expansion of the universe confounds Relativity, and unseen "dark energy" has been invented to try to retrofit observations to the theory. Despite wasting millions of taxpayer dollars searching for gravitational waves predicted by the theory, no direct observation of gravity waves has occurred. Sound like global warming? Then, in classic liberal claptrap, the liberal media claimed that gravitational waves were discovered when in fact no such direct observation was made. Atheistic science admits that "observations don't match predictions, because the objects farthest from each other in the known universe are so far apart that the time it would take to travel between them at the speed of light exceeds the age of the universe," and implausible theories are created to try to explain it. The failure to discover gravitons, despite spending hundreds of millions in taxpayer money in searching. While these tax dollars were not necessarily "wasted", the lack of results indicate that scientists need to revisit their hypothesis. The double star "W13" weighs "40 times as much as the sun—more than enough to form a black hole. So why is it not a black hole? The only explanation [a leading scientist] can think of ... does not make astrophysical sense." "According to Einstein’s view on the universe, space-time should be smooth and continuous" but observations instead show "inexplicable static" greater than "all artificial sources of" possible background noise. The lack of useful devices developed based on any insights provided by the theory; no lives have been saved or helped, and the theory has not led to other useful theories and may have interfered with scientific progress. [note 6] This stands in stark contrast with every verified theory of science. Relativity requires different values for the inertial mass of a moving object: in its direction of motion, and perpendicular to that direction. This contradicts the logical principle that the laws of physics are the same in all directions. The Ehrenfest Paradox: Consider a spinning hoop, where the tangential velocity is near the speed of light. In this case, the circumference ( ) is length-contracted. However, since is always perpendicular to the motion, it is not contracted. This leads to an apparent paradox: does the radius of the accelerating hoop equal , or is it less than ? 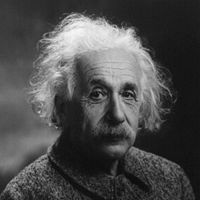 Based on Relativity, Einstein predicted in 1905 that clocks at the Earth's equator would be slower than clocks at the North Pole, due to different velocities; in fact, all clocks at sea level measure time at the same rate, and Relativists made new assumptions about the Earth's shape to justify this contradiction of the theory; they also make the implausible claim that relativistic effects from gravitation precisely offset the effects from differences in velocity. Based on Relativity, Einstein claimed in 1909 that the aether does not exist, but in order to make subatomic physics work right, theorists had to introduce the aether-like concept of the Higgs field, which fills all of space and breaks symmetries. Minkowski space is predicated on the idea of four-dimensional vectors of which one component is time. However, one of the properties of a vector space is that every vector have an inverse. Time (formally: movement forward in time) cannot be a vector because it has no inverse. Despite a century of wasting billions of dollars in work on the theory, "No one knows how to solve completely the equations of general relativity that describe gravity; they are simply beyond current understanding." Experiments in electromagnetic induction contradict Relativity: "Einstein’s Relativity ... can not explain the experiment in graph 2, in which moving magnetic field has not produced electric field." The Pauli Exclusion Principle states that no two electrons in a closed system can exist in the same quantum state and if one electron changes all others must compensate. As the universe is a closed system when one electron changes state so must all others, even if they are thousands of light years apart. The 2014 findings of gravitational waves are actually just dust. The theory of relativity violates Occam's razor by requiring multiple new, implausible assumptions, including an invariant speed of light, denial of action at a distance, denial of basic, well-proven principles of quantum mechanics, and insistence that all places in the universe be equivalent to each other. For a discussion of rebuttals to these counterarguments, see Essay:Rebuttal to Counterexamples to Relativity. ↑ In a complicated or contrived series of calculations that most physics majors cannot duplicate even after learning them, the theory of general relativity's fundamental formula, , was conformed to match Mercury's then-observed precession of 5600.0 arc-seconds per century. Subsequently, however, more sophisticated technology has measured a different value of this precession (5599.7 arc-seconds per century, with a margin of error of only 0.01), and leading promoters of Relativity (such as Professor Clifford Will) have omitted this in listing tests confirming Relativity. ↑ For a report on the data, see a paper submitted in 2010 by John Webb and Julian King of the University of new South Wales, Australia, to the Physical Review Letters. ↑ Contrived explanations have been suggested for this dilemma, such as Stephen Hawking proposing that the entropy of matter in a black hole is somehow stored in the surface area of its event horizon to be released back into its surroundings as the black hole decays by radiation, known as "Hawking radiation." ↑ In defense of the theory, it is noted that it mandates conservation of the matter-stress-energy tensor (the only way to get real conservation, since matter and energy are interchangeable.) This follows from the "contracted Bianchi identity." Also, the curl of the "gravitational field vector" is exactly zero in the absence of moving sources, due to symmetries of Riemann's tensor. It follows, from Stokes' Theorem, that the gravitational field is conservative and has a potential function. Energy is conserved. ↑ See, e.g., historian Paul Johnson's book, "Modern Times: The World from the Twenties to the Nineties," chapter 1: "A Relativistic World" (Harpercollins: 1st U.S. ed. 1983). See also Laurence H. Tribe, "The Curvature of Constitutional Space: What Lawyers Can Learn from Modern Physics," 103 Harv. L. Rev. 1 (November 1989) (thanking Barack Obama, who was a first-year law student when this absurd law review article was written, for his supposed "analytic and research assistance"). ↑ http://www.hindustantimes.com/Roll-over-Einstein-Law-of-physics-challenged/Article1-749189.aspx - note that a similar observation of faster-than-light speeds was also made in 2007 (with a larger margin of error). ↑ Hunt for gravitational waves discovers unexpected data instead. This page has been accessed 2,104,228 times.